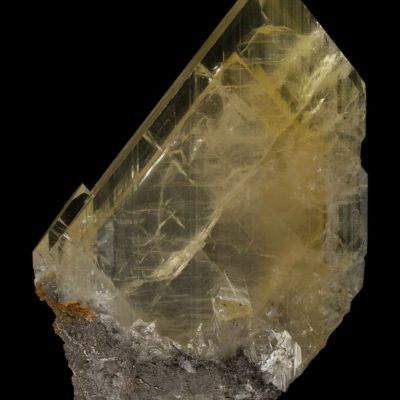 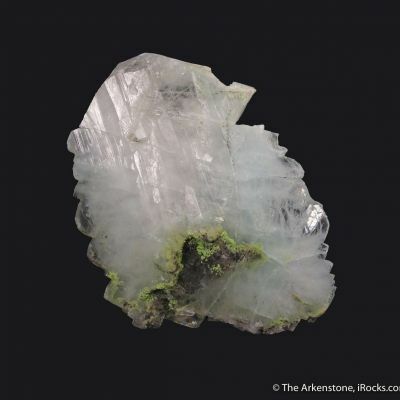 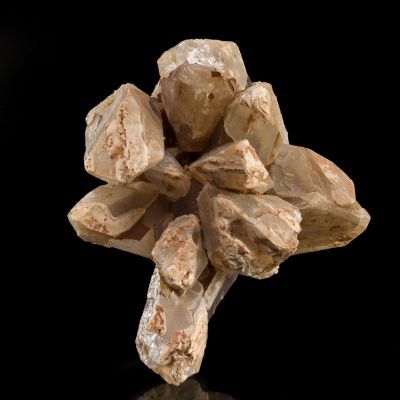 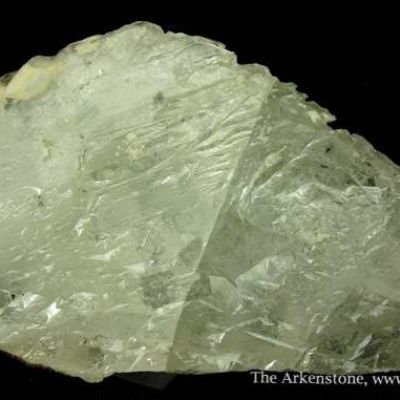 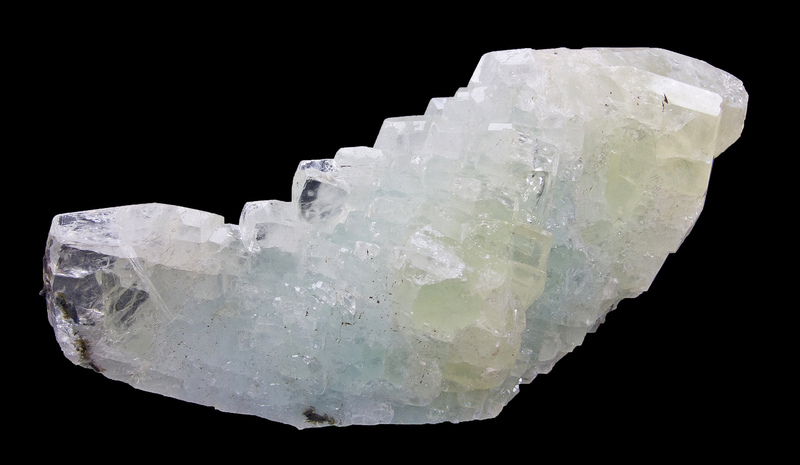 Anglesite is very rare from Tsumeb, and this piece is a nice, large display quality crystal that is doubly terminated (although slightly contacted at each end). 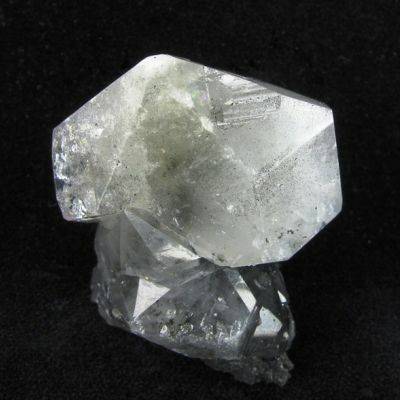 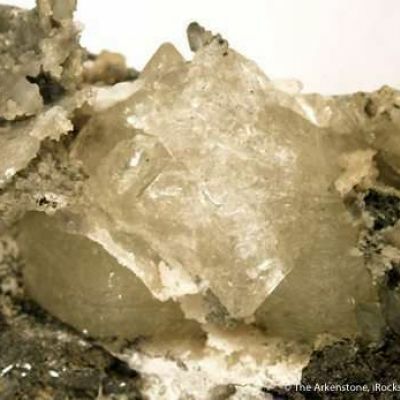 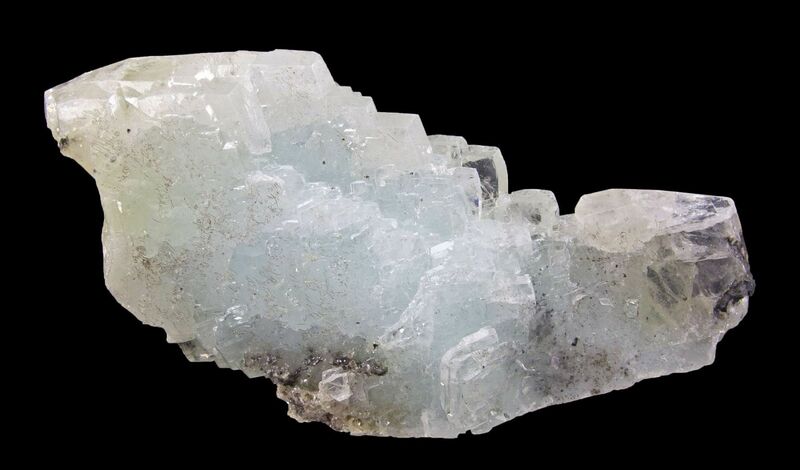 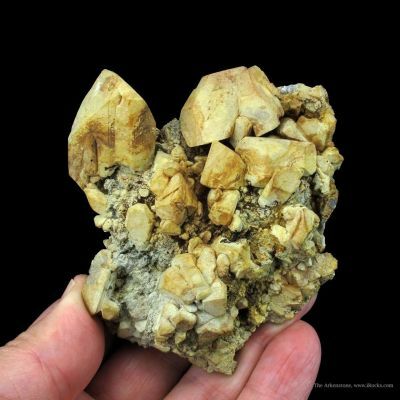 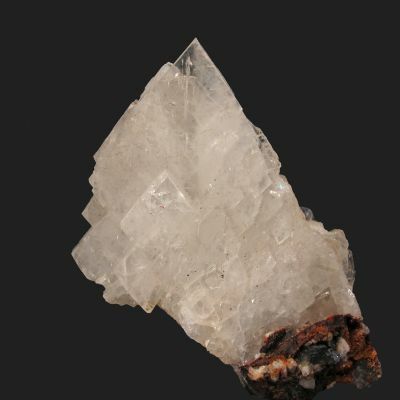 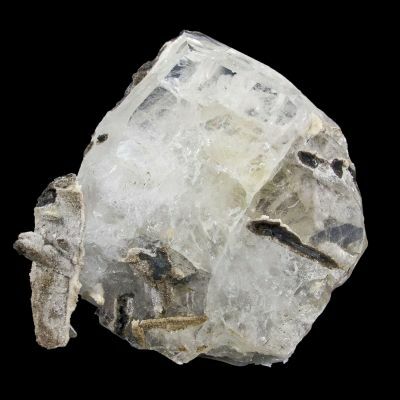 This is a complex anglesite crystal which clearly exhibits stepped growth. 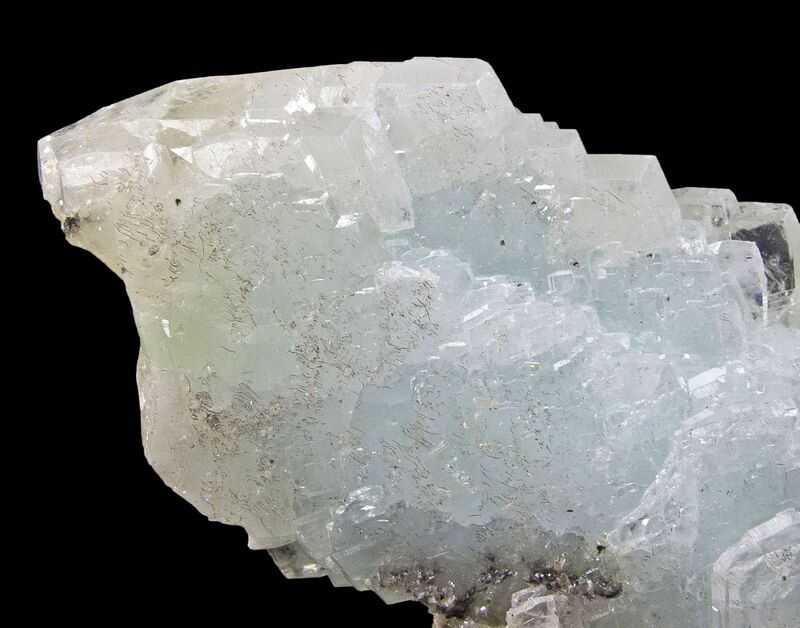 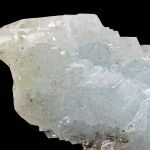 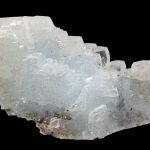 It is glassy and somewhat gemmy with a pearly-blue color. 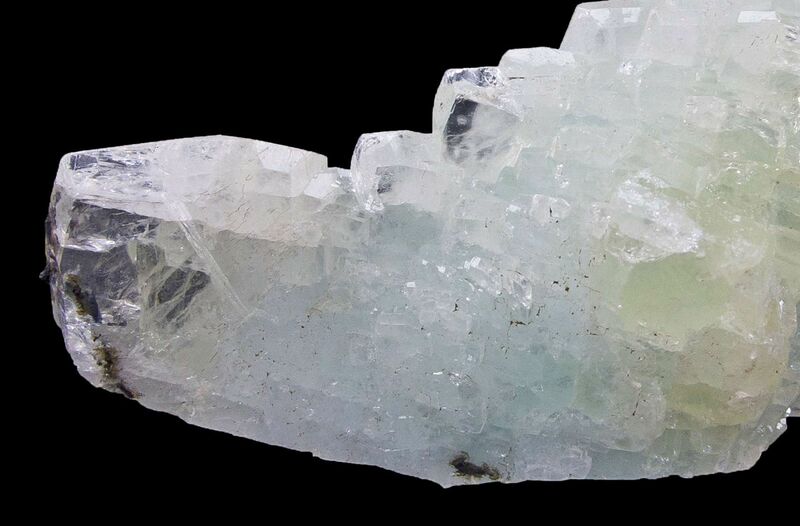 I particularly like the gemmy stepped growth on the edges of the crystal. 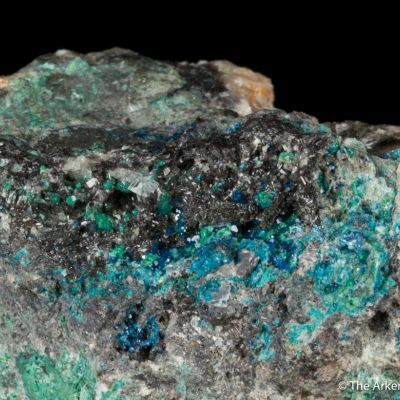 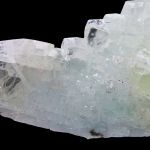 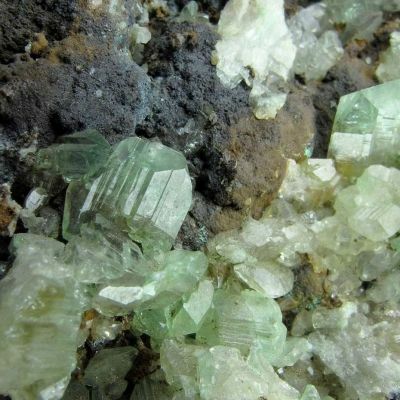 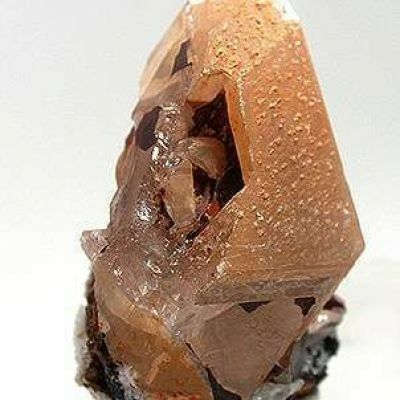 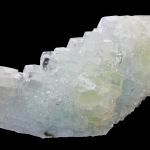 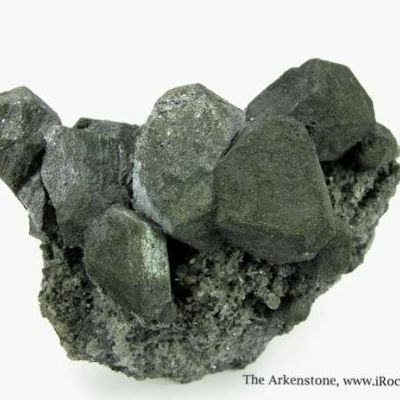 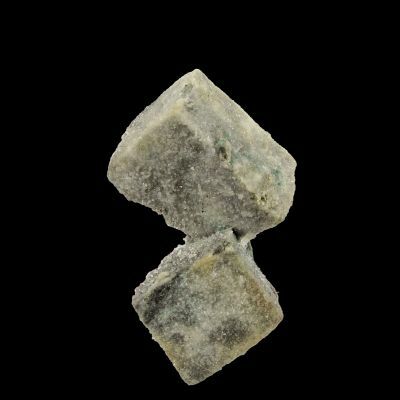 Crystals such as this, and in this size, should be conisdered very rare from Tsumeb.